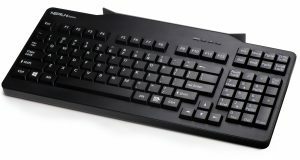 The integrated keyboard NEPTUN chrom® is equipped with the well-proven DESKO OCR and MSR reading technology. 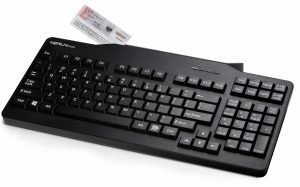 The keyboard reads travel documents such as passports, ID cards and visas as well as magnetic stripe cards such as customer loyalty cards or credit cards. As an optional feature, RFID and smart card reading is available. 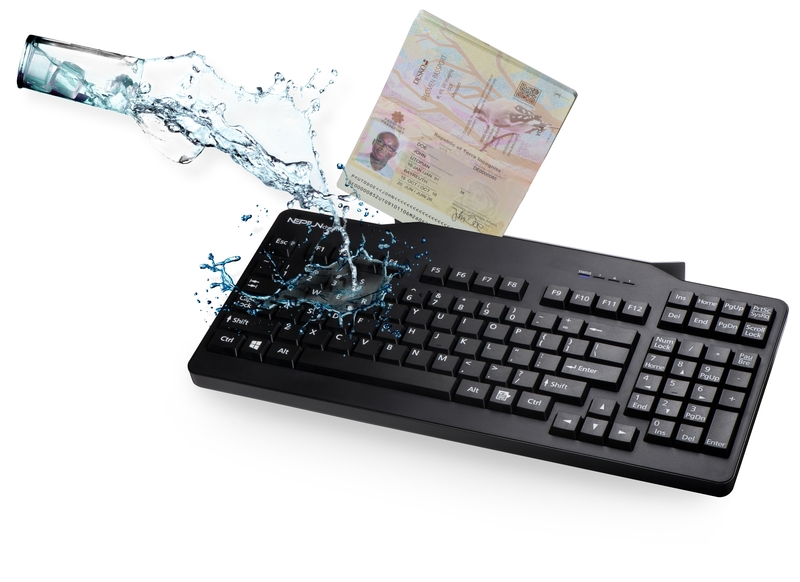 What makes the NEPTUN chrom outstanding to traditional check-in keyboards is its water and dust resistance according to IP54 regulations. This means that the entire keyboard remains fully intact event if water is spilled on the keyboard or swipe slot. This feature decreases downtimes and repair costs. No more damaged keyboards due to water spillage. No more closed counters due to equipment replacements. The NEPTUN chrom supports you 24/7. Besides the technical features, the NEPTUN chrom comes in a fresh and stylish look. 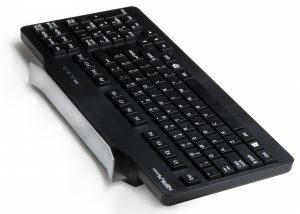 Its ergonomic shape guarantees a comfortable usage while minimizing the space needs on every desktop. With the combination of state-of-the-art technology and design, the NEPTUN chrom sets new standards for integrated keyboards.